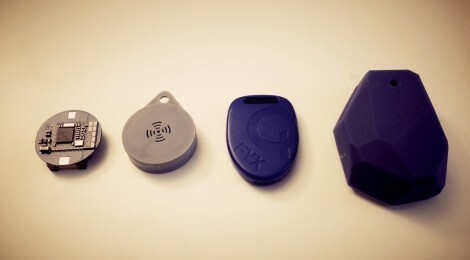 New research released by ABI Research estimates that over the next 5 years, the iBeacon hardware market will grow to approximately 60 million units. While the technology has caught dramatic attention in the retail space, the report identifies a larger opportunity, from a hardware perspective, in other sectors. These areas are Commercial/Enterprise, Connected Home, and Personal Asset Tracking. Think about the huge amount of office space square footage in the United States alone. Imagine your work-space powering up as you walk into the building, or manufacturing facilities with “smart” assembly lines. The possibilities really are limitless. Retail isn’t the only environment that might benefit from contextually aware messaging and interaction – wherever objects or people move within the physical world, there’s opportunity to add iBeacon functionality and location-awareness. Apple and Google have both indicated interest in the “Smart Home” of the future, and it hasn’t been subtle. With Google’s acquisition of Nest, which develops smart thermostats and smoke detectors, and Apple’s announcement of HomeKit, which aims to be the hub of the “Smart Home”, it looks like industry titans will be waging war to control the home of the future. It makes sense that the consumer home market is an attractive one, as almost any consumer appliance is primed for disruption by one of its “smart” cousins. It’s already happening with thermostats, door locks, lights, and garage doors. The retail opportunity really sticks out, though, when thinking about the proximity-based technology market size as a whole, in dollars. Advertising dollars have begun chasing consumers as they rapidly move to mobile. This year, mobile ad spend is set to reach $31 billion, growth of almost 50% from 2013. By 2016, eMarketer predicts the market for mobile advertising to reach just under $60 billion. Geo-local technologies, iBeacon among them, are in prime position to capture a large share of this spend. The hardware market will grow, but how will it evolve? Another thing to think about is the rapid commoditization of the hardware market. 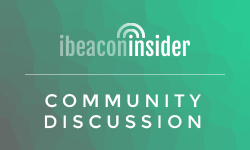 Although iBeacon’s market size in units is projected to grow to 60 million in 2019, this translates to less than $500 million in revenue. As hardware unit prices plummet and differentiation amongst competitors becomes increasingly more difficult, hardware companies will have to find a way to expand their offerings into high profit margin services. We’re already in the midst of this transition, and it will be interesting who is still around in the next 5 years to take advantage of the 60 million unit market. ← #BeaconFail: Domino’s to unveil Beacon flavored pizza?